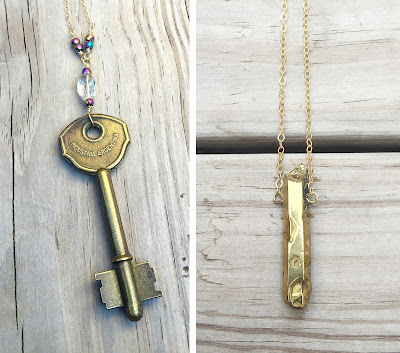 Jewelry with a Purpose. 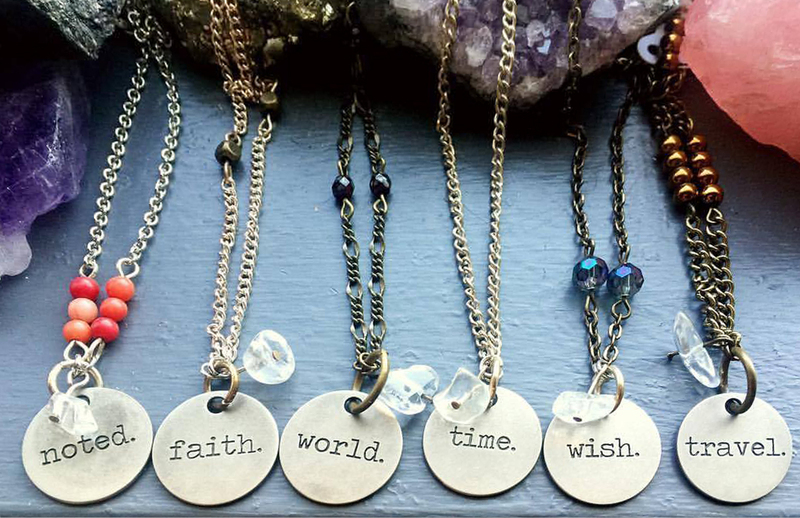 Handcrafted for Healing & Happiness! All Natural & All Beautiful Elements Turned into Wearable Art. 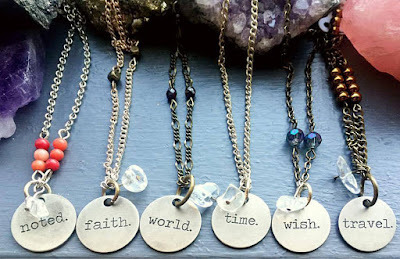 I've always believed that jewelry is meant to make you feel good, a little sparkle added to your outfit or a special sentiment you can carry with you throughout the day. Usually we choose pieces that we think will say something about who we are and accentuate our look. 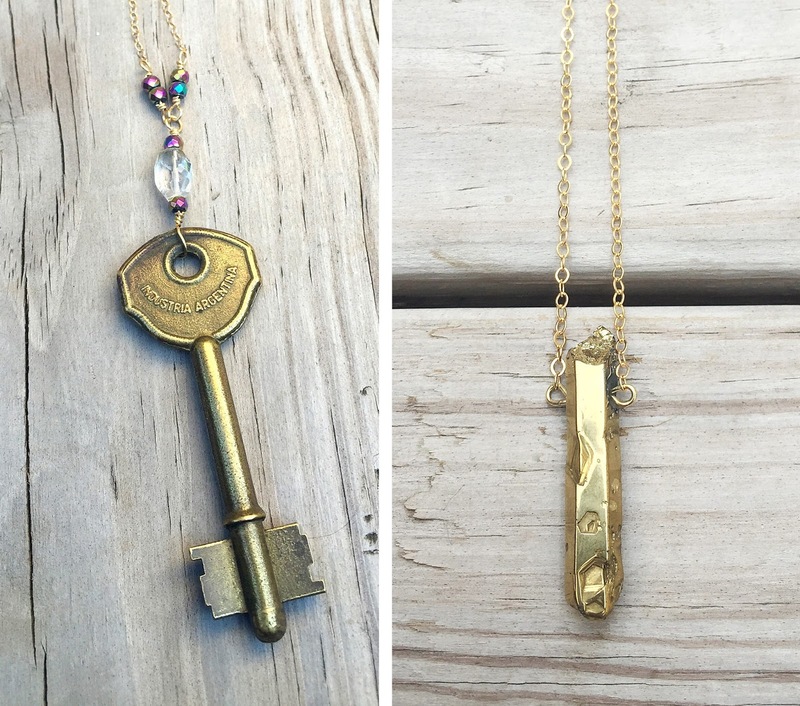 Did you know that some jewelry is designed with other purposes in mind as well? Based on the materials you use, you can imbue other "powers" into each piece. For Moon, the artist behind Modern Alchemy, the goal is to create jewelry that can heal, uplift, invigorate, protect or soothe. She is very intentional in the stones, crystals, metals and other natural elements that she works into her earrings and necklaces. She's researched how these materials are best used and enjoys the chance to pair the right piece of jewelry with the person in need of a little magic. Whether or not you believe in this magic, it's easy to see how Moon's jewelry will brighten your day. Her earrings, necklaces, rings and hair pieces are eclectic, each one handmade and the materials carefully chosen for the right concoction. Many of her pieces include a sparkle and often a pop of color. Mother Nature has given us a lot of beautiful things to appreciate and enjoy. 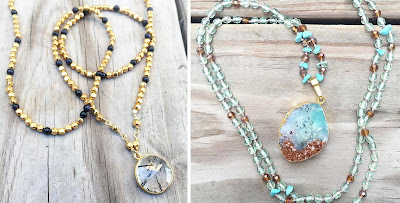 I love how Moon takes these gifts of the earth and turns them in to wearable art, from wonderfully cut crystals and polished stones to glittery druzy and metals. It's fun to see the new pieces she comes up with each week since she's always finding new elements to incorporate. 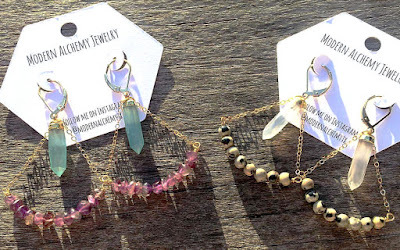 There's definitely a boho chic flair to Moon's jewelry, but the materials make them feel timeless. The hard part is picking which pieces speak to you! Luckily Moon can help.